is nearly always there with his drum kit and is a very experienced drummer. Players often team up with him for an enjoyable performance. 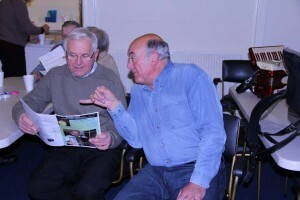 Barry Smith welcomes experienced and novice accordionists who would be interested in joining his accordion band.The social night is the ideal time for band practice. 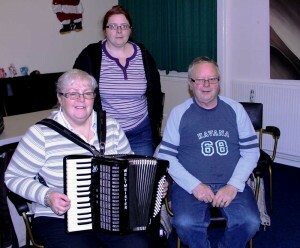 The club has a selection of accordions which are available for anyone to practice with. The canteen is always open for refreshments, tea or coffee and snacks are available.